Korthi is a strikingly beautiful village overlooking a wide sandy shore with a small port to shelter boats and yachts. Its stone-paved main shopping street is lined with restaurants, taverns, pastry shops and clubs. On both sides of Korthi bay, the beaches are perfect for swimming with the one bearing the strange name “the old lady’s jump’ being the most famous of the two. The conditions at Korthi are ideal for windsurfing and there is a windsurfing school where surfboards can be hired. 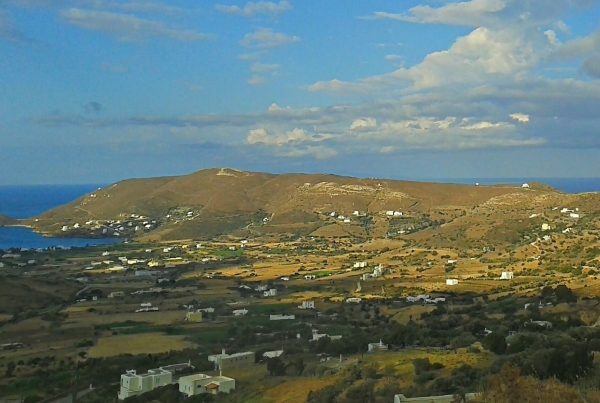 Like the rest of Andros, Korthi is an outstanding place for walking with a network of ancient footpaths across the region and through many of the nearby villages, such as Idonia, Mousionas, Piso Maria and Amonakliou that can be reached via these tracks. Korthi is connected by bus to Chora, Batsi and Gavrio.